Filmmaker Noah Baumbach directs Frances Ha, a coming-of-age comedy about a 20-something dancer trying to make her way in New York City. Via IFC Films. As a recent interview in the Toronto Globe and Mail suggests, filmmaker Noah Baumbach has a lot of empathy for young people who keep messing up. 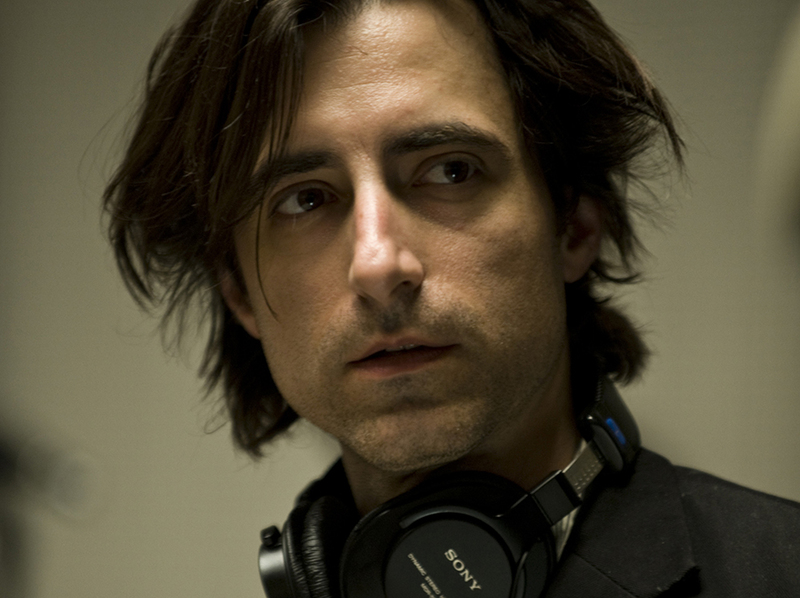 Baumbach has so far built a career around movies about misfits who stumble through their lives, trying to find their way. His latest film, Frances Ha, which plays July 12 at The Tower Theatre, is no exception. Co-written with star Greta Gerwig, Frances Ha features a protagonist who throws herself headlong into her dreams, even as their possible reality dwindles. Most of Baumbach’s protagonists have shared the same profound difficulties. Baumbach’s feature-length debut was 1995’s Kicking and Screaming, a critical darling with an ensemble cast that featured 1990s indie mainstays Josh Hamilton, Eric Stoltz, and Parker Posey, among others. In the film, following their graduation from a private college in Southern California, a pack of recent grads bumble their way through the first months of their lives without a syllabus. Each one refuses to move on, but each in a peculiar and painfully endearing way. In December 2005, Filmworks screened Baumbach’s first major hit, The Squid and the Whale, starring Jeff Daniels, Laura Linney, and Jesse Eisenberg. The film was a Sundance favorite, and it won Baumbach an Oscar for Best Original Screenplay. The movie follows a slowly disintegrating family in New York City after the separation of the parents. The tensions in their lives are amplified as the father spends more time teaching and less time writing, while the mother wins new and flattering acclaim. Despite the storyline’s heavy subject matter, Daniels plays the down-and-out dad with a deadpan appeal. Baumbach’s worldview again shines through in a ping-pong scene where Daniels tells his youngest son (played by Owen Kline) about the dangers of being a Philistine, “a guy who doesn’t care about books or interesting films and things.” The son declares that he is, indeed, a Philistine, before allowing his suddenly deadbeat dad to win on the next serve. Baumbach’s latest, Frances Ha, has drawn critical comparisons to Woody Allen and his classic black-and-white New York City film, Manhattan. A self-destructive state of “suspended maturity” marks many characters in the movies of both Baumbach and Allen, both for better and for worse. Frances Ha is Baumbach’s second film working with Gerwig, and that might be what makes it a bit different from his earlier works. She became his girlfriend after co-starring with Ben Stiller in the director’s 2010 film Greenberg, a movie that many critics panned because they said Baumbach’s worldview had gotten too pessimistic and bleak– even for him. Gerwig’s presence onscreen in both of her films with Baumbach has been lauded for its ebullience and charm. And as she mentions in a recent interview with Indie Wire, co-writing Frances Ha with Baumbach was collaborative and transformative, a lot like co-writing songs for a band. The partnership with Gerwig has seemed to add yet another wrinkle into Baumbach’s writing: In a world of searching, wandering souls, there’s always room for a little klutzy happiness.